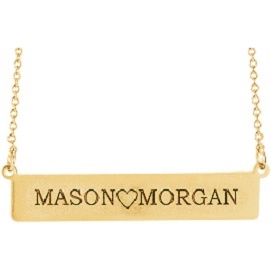 This necklace is a very popular style and you can personalize it by engraving your favorite person, place, or thing on it. They will surely treasure this piece that you have customized for them, or yourself. 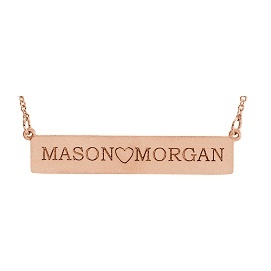 Also available in 14kt Yellow Gold, White Gold, or Rose Gold.